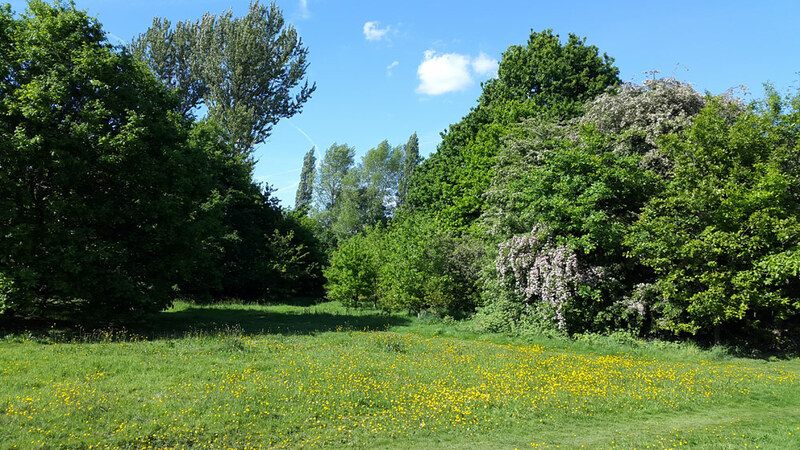 New Mirrlees Fields course goes live !!! 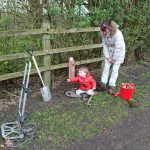 Mirrlees Fields Friends Group, in conjunction with Stockport Grammar School, Stockport School and Ladybrook Valley District Scouts have funded a new permanent orienteering course at Mirrlees Fields (which is just behind Stepping Hill Hospital in Hazel Grove). 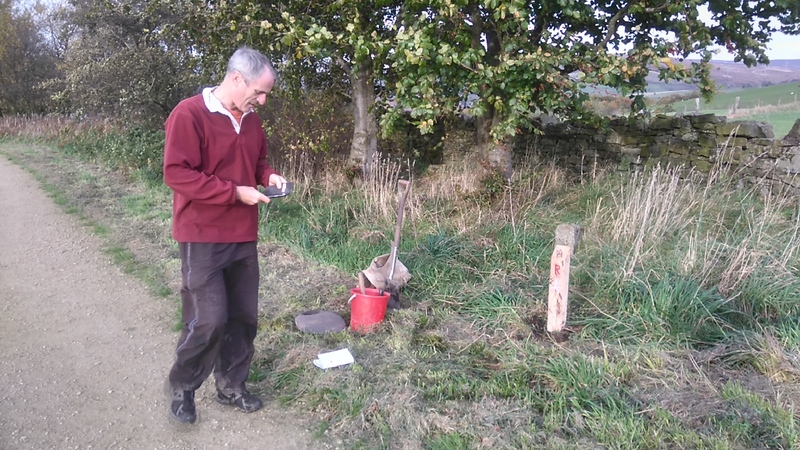 All posts are in position, maps and web site info are available. Post R replaced (and slightly repositioned to be less vulnerable); post S replaced, and post N restored to a vertical position. 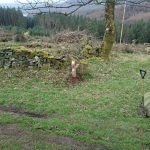 Even so, the course is incomplete – posts K and Q have vanished (possibly knocked out by mowing) and post U has been snapped off (we’ve left it propped up). Also noticed new work on a path to a Remembrance Memorial. 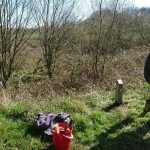 Replacement posts at Darcy Lever, Gorse Hall, Chesham Woods. New plaques at Crompton’s Lodges. Posts are beginning to emerge now the balsam is dying down. Really soggy underfoot today. 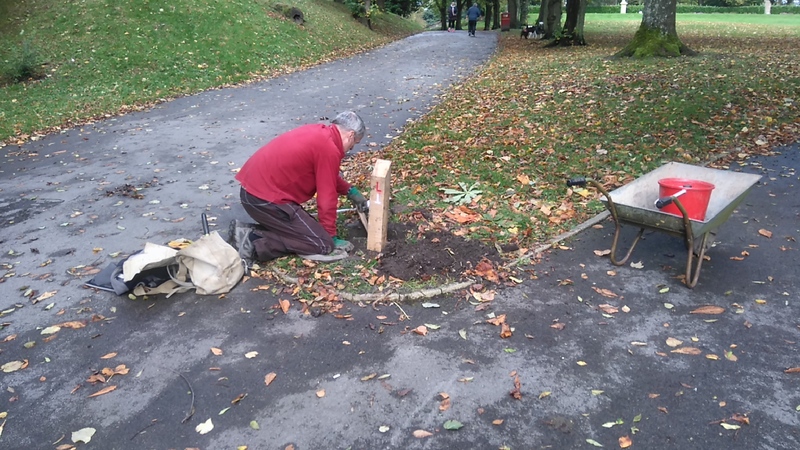 Two posts replaced at Queens Park, Bolton. One re-sited at Moses Gate Crompton’s Lodges; another post replaced and one re-sited at Moses Gate Darcy Lever, but both parks have another post missing. 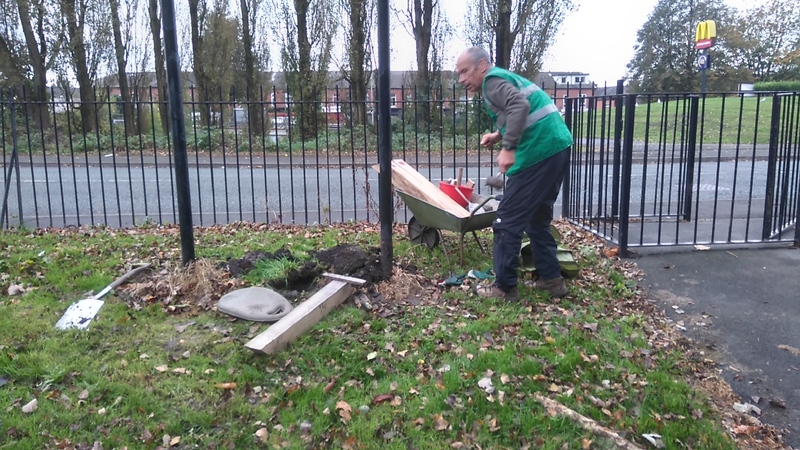 Tours of Leverhulme Park and Moss Bank found one more post missing.